We are an environmentally Friendly location. We take pride in promoting a healthy environment to everyone who enters. We proudly recycle. Recycling of metals and paper products. 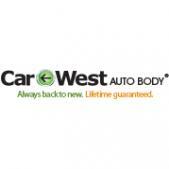 We are proud to be leading the industry in quality collision repair. Our goal is to restore your vehicle to pre-collison condition, in a reasonable amount of time, and at a fair and competitive price. We have multiple insurance relationships, including direct repair options with many of the major insurance companies. We are proud to be leading the industry in quality collision repair. Our goal is to restore your vehicle to pre-collison condition, in a reasonable amount of time and at a fair and competitive price. Our philosophy has always been to be an "insurance friendly" and "customer service" collision repair organization.